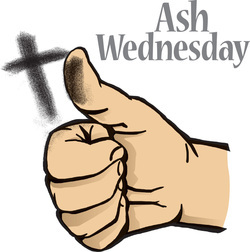 Ash Wednesday Service will be Wednesday, February 10th, at 7:00. Ashes will be distributed to those who desire. Lenten services will continue to be held at 7:00 every Wednesday during Lent.